They may look alike, talk alike and walk alike, but twins can be very, very different when it comes to their genetic makeup, revealing why one identical twin may develop a hereditary disease, but not the other. 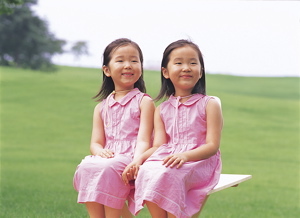 In a recent study of 19 pairs of identical twins, scientists from Alabama, The Netherlands and Sweden collaborated and discovered significant DNA differences within the copy number variation (CNV). Translation from science speak… CNV occurs when a set of coding letters in DNA are missing, or when extra copies of segments of DNA are produced. In the past, when one twin developed a particular disease — Parkinson’s, for example — while the other did not, it was thought that environmental factors were the likely culprits, not genetics. With their new knowledge, Bruder and Dumanski indicate that CNV should be efficiently studied in identical twins. Points and Prizes Keyword: GENE worth 50 points good through 02/24/08.